The Expat Compass: Govt Notifies More Planning Areas! 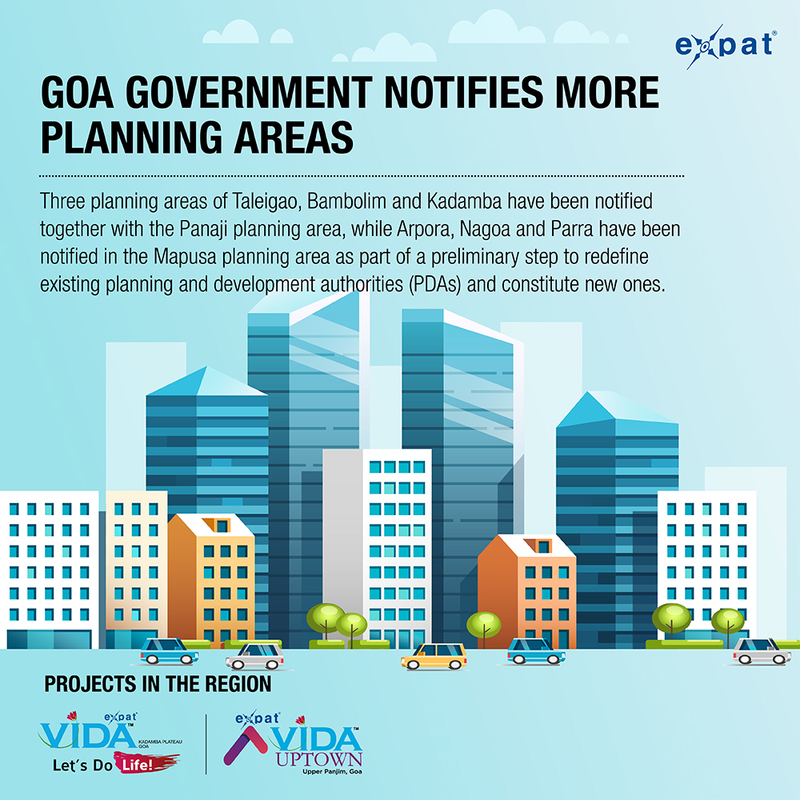 PANAJI: Three planning areas of Taleigao, Bambolim and Kadamba have been notified together with the Panaji planning area, while Arpora, Nagoa and Parra have been notified in the Mapusa planning area as part of a preliminary step to redefine existing planning and development authorities (PDAs) and constitute new ones.The notification, issued under Section 18 of the Town and Country Planning (TCP) Act, has been signed by the link secretary of the TCP department, Rupesh Kumar Thakur. It was notified in the official gazette dated December 21 this year, and came into effect from the date of its publication. The TCP department will now stop processing files related to any development or construction in these planning areas with immediate effect. "The next step will be to notify PDAs under Section 20 of the TCP Act, wherein the new planning areas will be included and the members to constitute PDAs will be announced," an official said. Speculation is rife that former TCP minister, Atanasio 'Babush' Monserrate, is likely to chair the Greater Panaji PDA.Activists are wary of the government's proposal to notify more planning areas and PDAs, as it would allow greater floor area ratio (FAR) to builders and lead to urbanisation of many pristine villages. "It is a runaway government that has been continuously and increasingly bringing out unconstitutional notifications with least regard to the Goan people," Reboni Saha, secretary of Goa Bachao Abhiyan (GBA) said. As per the notification, the Panaji planning area is likely to comprise Miramar, Campal and Ribandar. The Taleigao planning area is bounded by River Zuari in the south, Calapur (St Cruz) in the east, River Mandovi in the west and areas of Panaji in the north. Its core area comprises Dona Paula, Caranzalem and Taleigao. Right in the hotbed of development!